Godex Americas (Camarillo, CA) has shipped its wide-format 8" industrial thermal barcode printer, designated HD830i. Measuring 17 in. (L) x 8.7 in. (D) x 8.8 in. (H), weighing 25.8 lbs., the HD830i has maximum print speed of 4 in./100 mm per second at 300 dpi. It carries 32-bit RISC CPU, 32-MB RAM, 128-MB Flash, and four I/O's (USB 2.0, Serial, Ethernet, and USB Host). An adjustable 3.2" color control panel LCD tilts 15 degrees. Advanced features include adjustable damper and printhead mechanisms, ruggedized metal casing, auto-calibration button, dual sensors, and external label stand with 10" media OD. Also tool-less maintenance and label design software by Godex, with options for dealer-installed Bluetooth, Wi-Fi, Cutter, and Parallel Port. 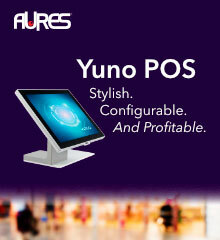 A shiny new convertible--for POS--has been rolled out by HP (Palo Alto, CA). As part of the company's new portfolio for retail, HP Engage Go Convertible seeks to bridge the gap between fixed and mobile POS. 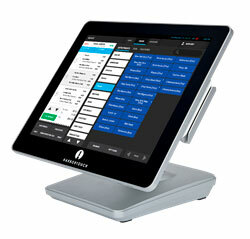 It follows the form of the HP ElitePOS--with head tablet, cylindrical stand, and connectivity base--but moves beyond. An innovative, magnetic "Smart Dock," for example, allows the tablet to be easily detached. As stand-alone, the new retail tablet is offered as HP Engage Go Mobile. 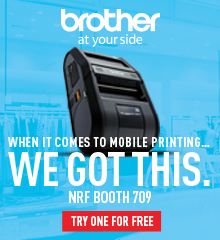 In conversation with RRN.Com, Aaron Weiss, VP and GM of Retail Solutions at HP, emphasized that Engage Go Mobile has been purpose-built for retail, with biometric fingerprint reader, ruggedness, integrated scanner, and 13-hr. battery. It has 7th Gen Intel Core CPUs, M.2 SSDs, Windows 10, 12" projected-capacitive touchscreen, Bluetooth 4.2, and 802.11a/c Wi-Fi. Significantly, it comes with all of the security capabilities of HP Credential Guard and HP Device Guard. As another component of the new "common architecture for the brand," in the phrasing of Weiss, there's two new platforms--HP Engage Flex Pro and HP Engage Flex Pro-C. As refresh for the HP RP5, both furnish 8th Gen Intel Core CPU and Windows 10. Options for storage include Intel Optane SSD, SATA, or M.2. As support: HP Sure Start, HP Manageability, HP Sure Run, and HP Sure Recover. At 11.8 in. (W) x 11.9 in. (D) x 4 in. (H), the HP Engage Flex Pro-C has small footprint. In terms of market strategy, HP will bring to retail its "Device-as-a-Service." Harbortouch, part of Shift4 Payments (Allentown, PA), has served up software for foodservice POS, called Harbortouch Bar & Restaurant, or HBR. Implementing hybrid-cloud architecture, running Android O/S. HBR has the features and functionality of premium packages for hospitality, cited Harbortouch. In addition, it offers modules for tableside ordering via tablet, online ordering, and online reservations. As an example of innovations, there's keyword tags for easy item grouping/searching. "HBR is the culmination of over a decade of product integration at Harbortouch, and over 30 years of my own experience within the industry," expressed Michael Russo, Chief Development Officer at Harbortouch/Shift4 Payments. "We have designed this software from the ground up to optimize the user experience for restaurant owners, managers, and staff. We have taken this strong foundation and added the latest innovations in restaurant technology." Joining the company in March, Russo previously served as CTO of Micros Systems, and subsequently, Oracle Hospitality (following its acquisition by Oracle). HBR is connected to the cloud for remote reporting and management via the company's portal, named Lighthouse. Later this year, Harbortouch plans to roll out its Lighthouse 5.0. with an emphasis on social media such as Yelp and TripAdvisor. Additionally, its new POS Marketplace will furnish third-party apps for functions such as loyalty, payroll, accounting, etc. 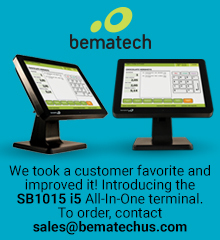 As hardware, the company offers its 13" touchscreen Echo POS and 15" touchscreen Elite POS. Star Micronics America (Somerset, NJ) has introduced its newest family of products for POS, christened "mCollection." 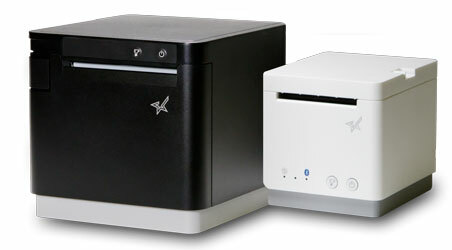 As hub, two new cube-shaped thermal receipt printers: the 2" mC-Print2 and 3" mC-Print3. With front exit, each offers multiple I/O's of USB, Lightning USB, Bluetooth, Ethernet, and Star's "cloudPRNT." In dimensions of 3.8 in. (W) x 4.5 in. (D) x 4 in. (H), the mC-Print2 has maximum print speed of 4 in./100 mm per second; in dimensions of 5.2 in. (W) x 5.5 in. (D) x 4.9 in. (H), the mC-Print3 has maximum print speed of 10 in./250 mm per second. As software support: Native O/S, Web, and Cloud. Adding to mCollection, Star Micronics will supply accompanying peripherals such as one- and two-dimensional scanners and customer displays. A trio of weigh scales are stocked as MG-S322 (with round pan, 0.01 g readability, and 320 g capacity), MG-S1501 (with square pan, 0.1 g readability, and 1500 g capacity), and MG-S8200 (with square pan, 1.0 g readability, and 8200 g capacity). All feature certification to the National Type Evaluation Program (NTEP), common I/O's (Serial, USB, Bluetooth BLE), and support for iOS, Android, and Windows O/S. "The mCollection is creating a lot of interest because it meets today's and tomorrow's retailer needs for flexibility and mobility with a future-proof design," enthused Christophe Naasz, Director of Business Development for Star Micronics America. All products are controlled through Star Micronics' common software development kit (SDK). Also of interest, free PromoPRNT has been added to Star Cloud Services. 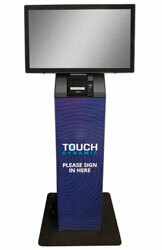 Touch Dynamic (South Plainfield, NJ) has unveiled its new all-in-one 22" touch system, dubbed "Surge." In widescreen, bezel-free, fanless construction, with projected-capacitive technology (ratio: 16:9; brightness: 250 cd/m2; resolution: 1920x1080), the Surge addresses self-service. It carries Intel Skylake i3 CPU at 2.3 GHz, Intel HD Graphics, 4-GB/16-GB RAM, and 128-GB SSD (optional HDD). Weighing 12.7 lbs., the Surge supports Windows POS Ready 7, Windows 8.1, Windows 10, and Linux O/S. A full suite of ports is included, USB 2.0 x 2, USB 3.0 x 4, Serial x 2, Ethernet x 2, Audio x 1, and HDMI x 1. As optional peripherals, there's encrypted MSR, wireless (802.11b/g/n/ac Wi-Fi), two-dimensional barcode scanner, camera, biometric fingerprint reader, and wall-mount VESA. "We identified a need in the market for a widescreen touchscreen all-in-one for self-service applications and delivered," declared Craig Paritz, President of Touch Dynamic. "Our intention is to provide ultimate screen visibility for any application, any industry, and any user." By removing the bezel, Surge functions as panel PC, noted Touch Dynamic. Do you need to reach the POS & Auto ID resellers who really drive business? With the most targeted editorial environment, and on the most cost-effective basis? Did you miss one of our issues and suddenly realize your competitors know more than you do? 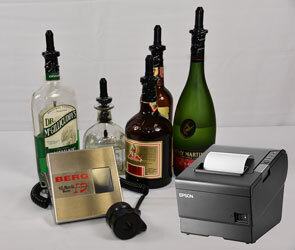 Another new partner for Epson America (Long Beach, CA), in the form of electronic beverage control system supplier, Berg Liquor Controls (Monona, WI). 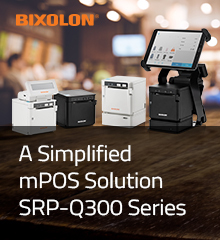 In combination with tablet-based POS, Berg will employ the 3" Epson OmniLink TM-T88V-i receipt printer and the 3" Epson OmniLink TM-U220-i receipt printer - Multi-Station Kitchen Display System (KDS) Controller. (Epson debuted its KDS in 2016.) As "intelligent" devices, both printers embed functionality of the PC. With this configuration, drinks are ordered tableside, entered on tablet by the server, and routed wirelessly to the OmniLink TM-T88V-i at the bartender's station. Here, the Berg system electronically measures and pours the cocktails and records the order in the POS. When completed, the drink order gets bumped from the bartender's monitor queue and the receipt is printed by the OmniLink TM-T88V-i. Similarly, the Epson OmniLink TM-U220-i - Multi-Station KDS Controller allows staff to manage kitchen tickets. "Berg stands out in the hospitality marketplace for its advanced bar management technology," commented Tom Kettell, Director of Commercial Channel - North America, at Epson America. "Our partnership allows them to further enhance the customer experience, build customer loyalty, and increase bottom-line profits." In making their announcement, Epson and Berg pointed out bar revenue represents the highest profit center for the majority of restaurants. A white-label mobile solution of interest to the channel has been fashioned by DishOut (Hauppauge, NY) and MagTek (Seal Beach, CA). It combines the mobile payment application by DishOut with the popular card reader hardware for MSR/EMV, "eDynamo," by MagTek. As benefits, resellers may customize the look and feel of the payment app as well as self-manage their merchant deployments via DishOut's Mobile Profile Management Portal. "One thing we often hear from resellers is their desire to have a simple, secure, white-label solution where they can create their own identity and look like they have their own technology," volunteered Rory Hersch, CEO of DishOut. "When we first announced our partnership with MagTek we were excited about the possibilities; now we're excited about the results." Established in 2011, DishOut addresses campus and hospitality environments, in particular. "Now that we offer our line of Magensa services, and Magensa Decrypt and Forward, specifically, we can deliver a much more robust solution to application developers," elaborated John Arato, GM and VP of Retail Sales at MagTek. "They don't need to worry about encryption and decryption, we handle all of that for them so they can focus on the application's user experience." 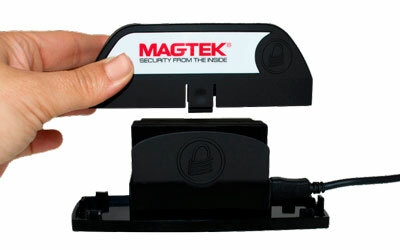 Earlier in the summer, MagTek announced it has added speed-increasing QwickDip technology for EMV into its card readers, eDynamo and DynaPro. It supports efforts by Visa, MasterCard, American Express, and Discover. Agilysys (Alpharetta, GA) has enhanced its Visual One Property Management System (PMS). With more mobile functionality, guests may perform check-in and check-out on their smartphone (without the front desk), while property staff may streamline housekeeping operations (eliminating physical clipboards). Integration with the software developer's new web-based reservation engine, rGuest Book, has also been added. As further improvements, Agilysys has incorporated more payment gateways, extended support for regional settings (such as time, date, and currency), and included offer enhancements for casino environments. With user-friendly screens, quick-feature icons, and drag-and-drop capabilities, Agilysys Visual One PMS runs on Microsoft SQL Server. "Agilysys continues to transform the guest experience and operational efficiency with the latest additions to the Visual One PMS," suggested Max Romanenko, Senior Director of Engineering at Agilysys. Seiko Instruments USA, Smart Label Printer Division (Torrance, CA), has assembled its new food preparation printing kit. Utilizing the thermal 2" SLP 620 and SLP 650 printers by Seiko, it includes software for labeling by an ISV, NETS Products Group (Manchester, NH). It also provides USB cable, power cord, starter roll of labels, and quick-start guide. It allows users to create their own specially designed easy-peel labeling system for food safety, date rotation, fresh food, as well as to label bakery and specialty items, according to Seiko. In addition to one-touch label printing, the new application features on-demand printing from multiple screens with up to eight user-defined categories--and 40 items per category--all of which can be set from inception to expiration date. An employee password control function identifies individual food preparers. Also, an optional upgrade, with multiple label templates and customization, accommodates Grab & Go, Nutrition, and Bakery. As system requirements, Seiko lists Windows Vista, Windows 7, Windows 8.1, and Windows 10 O/S. "When it comes to areas where food is being prepared and handled on a daily basis, the need for effective and easy labeling is paramount, as providing food that is fresh and current is of utmost importance for both the customer and employee experience," reflected Yoshi Murakami, GM of Seiko Instruments USA. 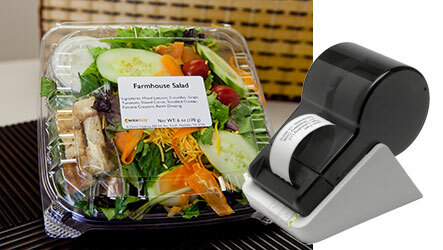 "With our already established Smart Label Printer line, and our easy-to-use labels, it also made the most sense for us to partner with NETS Product Group to further enhance this technology to round out our new food prep printing kit." As speed, the SLP 620 has 2.8 in./72 mm per second at 203 dpi; the SLP 650 has 4 in./100 mm per second at 300 dpi. Socket Mobile (Newark, CA) has enhanced two of its portable scanners for retail with capacity for so-called machine readable zone (MRZ). This enables its Model DuraScan D760 and Model Socket Mobile S860 to read required coded information on travel documents such as passports, thereby facilitating duty-free shopping. In addition to one- and two-dimensional symbologies, the scanners can handle OCR A&B, OCR USC, OCR Passport, and OCR MICR (E13B). In ergonomic form, with dimensions of 5.2 in. (L) x 1.5 in. (W) x 1.6 in. (D), the DuraScan D760 has wireless (Bluetooth Version 2.1+EDR), user feedback (visual, audible, and pulsation), long-lasting battery (16 hrs. ), and ruggedness (IP-54). With similar features, in square format, the Socket Mobile S860 measures 3.4 in. (L) x 2.1 in. (W) x 0.5 in. (D) and weighs less than 2 oz. Both support iOS, Android, and Windows O/S. As MSRP, there's $549 for the D760 and $476 for the S860. Also, the software development kit (SDK), tagged "Capture." "We are introducing these products ahead of the market requirement, allowing our software partners to integrate new functions into the solutions," related James Lopez, VP of Marketing, Sales, and Developer Programs for Socket Mobile, citing, as one example, Japan. "Nobody writes software until the hardware exists. Socket Mobile remains one of the leaders in providing new capabilities for the emerging POS market." A partnership between two vertical market solution providers has streamlined home delivery for pharmacies. In this solution, software by RxTrax (St. George, UT), compliant with HIPAA, employs mobile payment processing, certified for EMV, by Handpoint (Palo Alto, CA). It offers the capability to create an order, dispatch and track deliveries in real time, collect critical delivery information, and pull receipts from its secure encrypted database. A platform-as-a-service (PaaS), Handpoint. "In today's on-demand world, almost every pharmacy is providing home delivery services. Often this service is managed with paper orders and keyed-in credit cards, resulting in misplaced orders, high payment processing costs, and challenging insurance reporting," indicated Walt Brooks, RxTrax CEO. 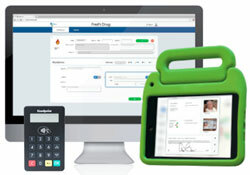 "RxTrax is designed to streamline every element of pharmacy delivery, saving pharmacies time, money, and risk. With Handpoint's expertise in mobile payments--from terminals to security to remote terminal management--it was an easy choice to use their solution." "I'm thrilled with the quality of the solution from RxTrax and Handpoint," testified Steve Voisin, President of ISO/VAR Superior Merchant Solutions (Suttons Bay, MI). "My pharmacy customers demand solutions that are reliable and secure. I can have a pharmacy up and running in minutes and can provide instant over-the-air support through the cloud-hosted platform by Handpoint." As gateway, Superior Merchant Solutions draws upon CoCard Marketing Group. 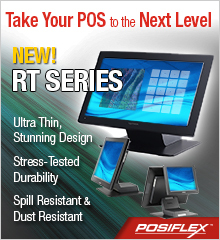 Be sure to visit these vendors for the latest in channel products and offers for resellers. 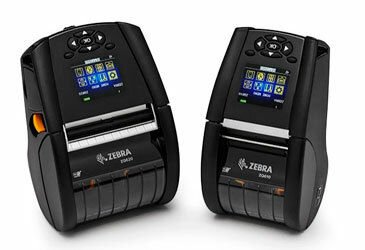 Zebra (Lincolnshire, IL) has unwrapped its new set of mobile thermal receipt and label printers, the ZQ600 Series. It comes in two versions, 2" ZQ610 and 3" ZQ620, with maximum print speed of 4.5 in./115 mm per second at 203 dpi, driven by 256-MB RAM, 512-MB Flash, and "Link-OS." In clamshell design, the ZQ610 measures 6.5 in. (L) x 3.5 in. (W) x 2.75 in. (D) and weighs 1.3 lbs., while the ZQ620 measures 6.8 in. (L) x 4.6 in. (W) x 3.3 in. (D) and weighs 1.6 lbs. In terms of ruggedness, there's an IP-54 rating and 5-ft./1.5-m drop resistance (with soft case). As with all its new products, the ZQ600 Series features Zebra's "Print DNA" of applications, utilities, and developer tools. It supports emulations of CPCL, EPL, and ZPL, with iOS, Android, and Windows Mobile O/S. An associated Ethernet Cradle simplifies troubleshooting, firmware updates, and remote management. "As one of the leaders in mobile printing, Zebra is committed to continuous improvement and innovation," summarized Keith LeFebvre, VP of the Specialty Printing Group at Zebra. "Our ZQ600 Series reinvents our highly renowned QLn Series." SATO: "If You Want My Advice"
A new consulting firm, styled StoreAdvisor, has been launched by SATO. Addressing retail IT, and based in Dallas, TX, StoreAdvisor will be led by Keith Sherry as CEO and Dan Natale as VP of Customer Engagement. 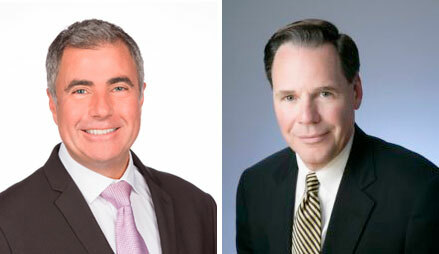 Each held similar position at the former SATO Global Solutions. In addition, Sherry co-founded the Acuitas Digital Alliance, with members BT, Intel, Nexgen, RetailNext, SGS, and Valmarc Corp.
StoreAdvisor takes over management of the Vision Retail Platform, RRN.Com was told. As such, it will focus on software development and offerings in two primary areas: Retail Analytics and Retail Operational Efficiencies (including tools for automation and task management). It will recommend, design, and deploy solutions with hardware in barcode, RFID, and IoT--from third parties, reportedly, as well as SATO. 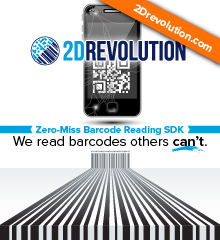 "StoreAdvisor is well positioned to expand our product and services offerings for retail. We have identified 44,000 stores in the U.S. that can utilize and benefit from our expertise," emphasized Natale. "We are currently developing relationships with retailers that will fuel our continued growth." Added Sherry, "The physical retail store has proven to be as important as the digital channel. We recognize that retailers are investing heavily in in-store technology to improve brand loyalty." -A recent survey reveals 58% of IT professionals consider malware as their top security concern, followed by ransomware at 48%, and by cloud security breaches at 40%. -Despite much publicity, only 52% of IT professionals currently take measures to proactively address security concerns before breaches occur, according to the survey. -Shockingly, 30% of IT professionals do not know how many endpoints exist within their organization. Those who said they know this figure have an average of 750 endpoints, including servers, employee computers, and mobile devices. -While 71% of IT professionals claim they are actively addressing security on hardware, 44% are not actively addressing security on software and fully 52% are not addressing it on mobile devices. -A majority of companies are not using solutions that can address endpoint management risks. Only 26% of IT professionals surveyed reported investing in automated monitoring and alerts, only 17% invest in anti-malware on mobile devices, and only 14% invest in third-party patch management. -Overall, 88% of IT professionals acknowledge the importance of endpoint management, according to the survey. 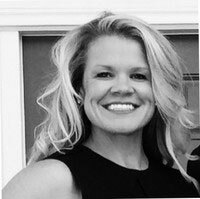 POSDATA Group, one of the big distributors of payment technology, has enlisted Chrissy Ouellette as its Senior Director of Payments and Business Development. She brings more than ten years of sales, service, and operational experience in fintech. It includes: Business Development Manager at CDE (2016 to 2018), Business Development Director at Vanco Payment Solutions (2014 to 2015), Portfolio Manager at Meritus Payment Solutions (2013 to 2014), and National Sales Director/Director of Corporate Training at SpotOn (2005 to 2013). "We are looking to aggressively grow our business with merchant acquirers, Independent Sales Organizations (ISOs), Value-Added Resellers (VARs), and Independent Software Vendors (ISVs)," relayed Jeffrey Creighton, President and CEO of POSDATA. "Chrissy's experience and strong relationships in the payments industry will certainly help us ramp up our efforts quickly. We are pleased to welcome her to the team at POSDATA." "I am attracted to opportunities that enable me to build something from the ground up, and with POSDATA's historical performance and sound operational team, there's a chance to do something special with my career," remarked Ouellette. "Our leadership team is poised to make a difference in payments, and they have given me the tools I need to make this a success." In addition to its headquarters in Gig Harbor, WA, POSDATA has its certified point-to-point encryption (P2PE) key injection and distribution center in Louisville, KY. It's privately held. 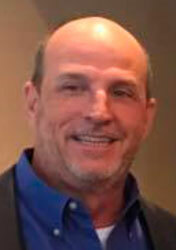 Barcom (Chattanooga, TN), prominent warehouse VAR, has promoted Dale Conerly to VP of Sales and Marketing. He joined Barcom in 2005 as Sales Engineer in the Southeastern U.S. In his time at Barcom, in addition to his primary duties, he participated in the launch of the company's professional services offering and set-up and implementation of its customer relationship management (CRM). He will be responsible for direct and partner sales efforts. "As a company, we're poised for growth," asserted Conerly. "Expanding our sales efforts seemed like a logical next step, and I'm excited to lead our team. Our goal is to be at the head of the pack." "Dale has been a key contributor to the growth of our business," reported John Rewcastle, President of Barcom. "He has demonstrated strong sales and leadership qualities over the last 13 years and we're proud to have him lead our sales efforts moving forward." As well as mobile computers, handheld scanners, and barcode printers from major vendors, Barcom provides its inventory management software, entitled "transACTION." A strong personality in payments, well-known in our circles, Joe Kaplan passed away unexpectedly on Thursday, July 26, while on vacation in Bermuda. He most recently served as CEO of Paya (Reston, VA), which he joined in 2017. At that time, Paya was spun off Sage Software by private equity firm GTCR. Earlier in his career, Kaplan enjoyed success as CEO of Total Merchant Services (2012 to 2017) and Founder and CEO of Innovative Merchant Solutions, now part of Intuit (1999 to 2008). In addition to his professional roles, Kaplan was very generous with his time in the trade association for payments, the Electronic Transactions Association (Washington, DC). He served on ETA's Board of Directors from 2000 to 2008, as President from 2006 to 2007, and rejoined the Board of Directors as Advisor in 2014. "As recently as this week, at the meeting of the ETA Board, Joey was contributing his expertise to the betterment of our industry," stated Jason Oxman, CEO of the ETA, on Friday, July 27. "He leaves a strong legacy in the industry he loved, where his passion was apparent to all. 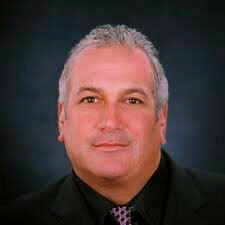 Our thoughts and prayers are with his family and all in the payments industry who mourn his passing."